NC State hopes to take four offensive linemen in the class of 2020 and they extended a new offer recently to Lawrenceville (GA) Archer OL Ethan Lane‍. The offer came during Lane’s first visit to State back in late March. During that trip he was accompanied by his father. 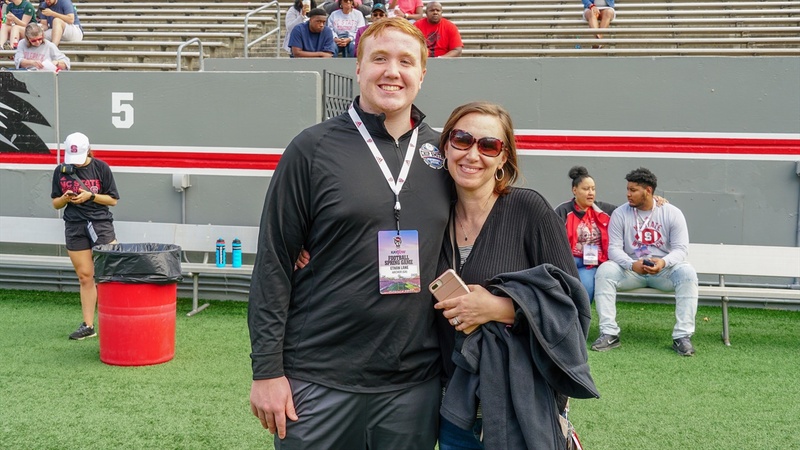 He wasted no time making a return trip to Raleigh as he and his mom were on hand for the Wolfpack’s spring game. It didn’t take long for the 6-3, 270 pound lineman to realize that family is a huge part of Dave Doeren’s program. To continue reading, you must be a Inside Pack Sports Premium subscriber.